When the Foodbank receives food in bulk we have to repackage that product into smaller forms for our agencies to give out to individuals and families in need. May the Force Be With You Family Repack - May 4th, 10am - 1pm. CLICK HERE to sign-up. Do Good Date Night Repack - May 9th, 6pm - 8pm. CLICK HERE to sign-up. Please be sure you have filled out our volunteer registration form before attending any volunteer opportunity. Please review our Food Safety Guidelines before registering to volunteer. To make sure we don’t go over room capacity, please do not attend a repack without registering first. If you are a group coordinator, please have all volunteers fill out a volunteer registration form before attending and forward these repack instructions to your group. We heavily depend on volunteers to repack bulk food product so if you can’t attend please delete your signup. Please arrive on time. Explaining repack instructions to one full group is easier on us and decreases the likelihood of repackaging errors. Please wear closed-toed shoes and remove all jewelry. To comply with food safety standards any volunteer not wearing closed-toed shoes will not be able to repack. No food or drink is allowed in the warehouse/repack room. EIF has a break room where water is available. We know it’s tempting but please do not eat the food being repacked – it’s against food safety guidelines. If you have any food allergies please check with Emily as to what will be repacked. If you are dropping someone off at a repack please be prepared to pick them up early in case the repack wraps up early. Any volunteer 10 to 13 should be accompanied by a responsible adult; one adult per each child. We regret that we cannot accommodate volunteers under the age of 10 for warehouse activities. I hereby accept and assume full responsibility for any injury I might suffer while volunteering at Eastern Illinois Foodbank of Urbana, Illinois. I also give permission to Foodbank staff to seek treatment in case of injury and to take other action should medical emergency arise. I waive and release my right for damages. Injury for Minors: I give permission to the Foodbank staff to seek treatment in case of injury to my son/daughter and allow them to take other action should medical emergency arise. I waive and release my right for damages. I grant to the Eastern Illinois Foodbank, its representatives and employees the right to take photographs of me and my property in connection with my volunteer service at the Eastern Illinois Foodbank. 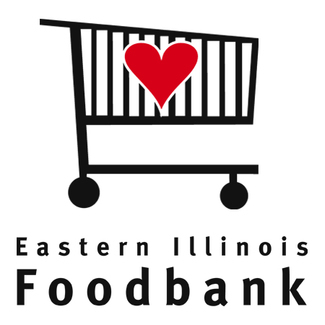 I authorize the Eastern Illinois Foodbank, its assigns and transferees to copyright, use and publish the same in print and/or electronically. I agree that the Eastern Illinois Foodbank may use such photographs of me with or without my name and for any lawful purpose, including for example such purposes as publicity, illustration, advertising, and Web content. By signing up, I verify that I have read and agree to the policies in this form. If you are interested in additional volunteer opportunities, please check out our website here.